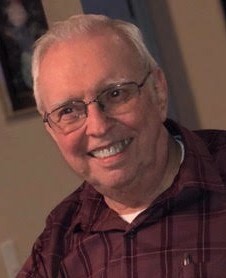 Charles Stanton Bright, 78, of Bulverde, TX, passed away on Sunday, January 13, 2019, at Christus Santa Rosa Hospital in New Braunfels, TX. Charles was born on May 21, 1940, in Columbus, OH to the late Charles Bright and Frances Crabtree Bright. He was also preceded in death by his wife, Jill Oh. Celebration of Life Service will be held on Saturday, January 19, 2019, at 1:00 p.m. at the Neal-Tarpley-Parchman Chapel with Rev. Jeffrey Lott officiating. Burial will be at Resthaven Memorial Gardens. Visitation will be held on Saturday, January 19, 2019, from 11:00 a.m. until the hour of service at the funeral home. Charles retired from the U.S. Army after serving 30 years. He worked 25 years for Civil Service. He was a member of Christ Lutheran Church. Charles is survived by his son, Howard Bright of Nashville, TN; four daughters, Charlotte Sousis of San Antonio, TX, Deborah Landwermeyer of Atlanta, TX, Sharon Christian of San Antonio, TX, and Marsha Bostwick of Atlanta, GA; two brothers, Larry Bright of Columbus, OH and Dean Bright of Hilliard, OH; thirteen grandchildren; and nine great grandchildren.